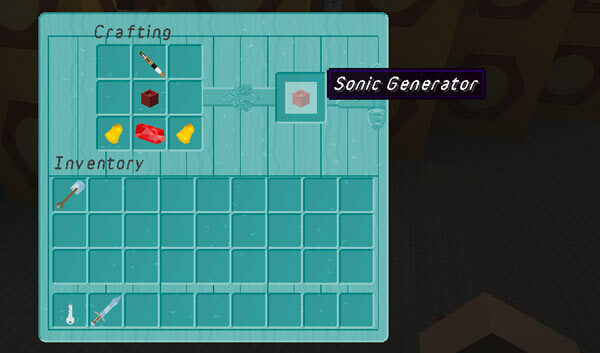 The Sonic Generator allows players to configure and produce a new screwdriver from the console. Each time a sonic is generated it costs a certain amount of Artron Energy. You can craft a Sonic Generator (use /tardisrecipe generator to see the recipe), or place a flower pot and update it (/tardis update generator). If you place a flower pot, you will need to activate the generator the first time you use it. You do this by placing the craft ingredients into the GUI. Right-clicking the generator opens the GUI where you can select the Sonic Screwdriver type and apply upgrades to it. The settings are saved when you generate a new sonic, so that in the future, SHIFT-right-clicking the generator will build a sonic with the last used settings without having to open the GUI. The Artron cost for building a sonic is based on a percentage of the full_charge amount (by default 5000) in artron.yml, not the amount that a TARDIS actually has in its Artron Capacitor (which may be massively overcharged, 45549% perhaps). Note: Only upgrades the player has permission for will appear in the GUI, and the Admin Upgrade will never appear at all.